I'm so happy I'm finally getting some time to document this birth session! Mom, Anna, contacted me on February 11, which was about a week after I gave birth to my daughter, Pearl. Anna was about 10 weeks pregnant at the time, and I was thrilled to get to meet a future mom that was so focused on finding the right birth photographer that she was hiring me before telling some friends and family that she was pregnant! We met over ice cream and little Pearl got to attend her first business meeting. I loved Anna and Sean immediately. Anna is a photographer, so she gets the importance of photos, especially in something as special as birth. And both parents were soooo excited to meet their little bundle of joy. It literally felt like a month passed before it was August and time to meet their son. 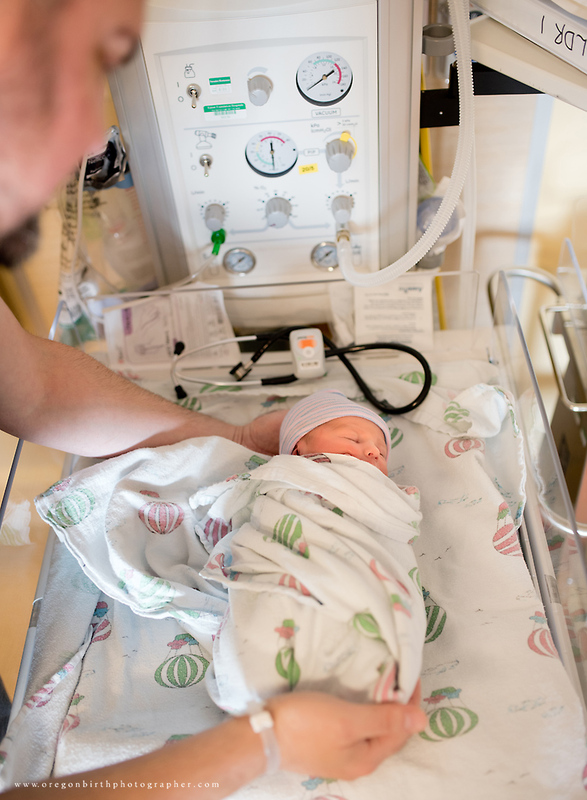 (Seriously people, it's NEVER too early to book a birth photographer. Time FLIES! Especially the good times.) The morning of August 18th, Anna texted me at 4:48am to say that her water had broke and contractions were starting to really pick up. We stayed in touch all morning and by 12pm, I was at the hospital. When I walked into Anna's room, she gave me a huge smile, and I said to her, "Did you have an epidural?" She said, "Nope, I'm all natural!" I was floored. She was the happiest laboring mama I'd ever seen! 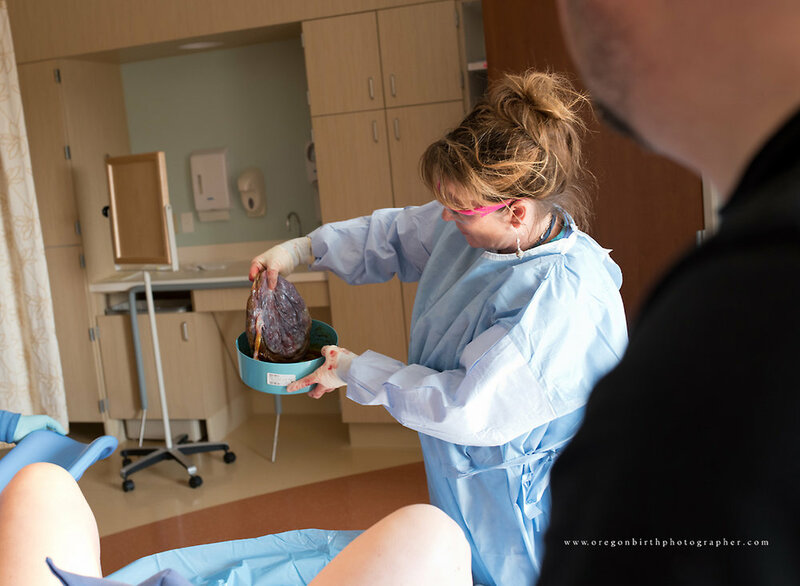 Things were progressing a little slower than her midwife was hoping, so they finally gave her a dose of Pitocin at 1:05p and the labor really intensified after that. Anna was laboring HARD and Sean such a great labor coach! He was focused on whatever Anna needed, and I think he forgot to breathe by the end! Finally at 3:21pm, William Carson Graf made his debut into this world to the great joy of his parents. Sean literally danced around the room with this little boy, and the love in Anna's eyes as she watched her two boys together for the first time made my heart skip a beat. 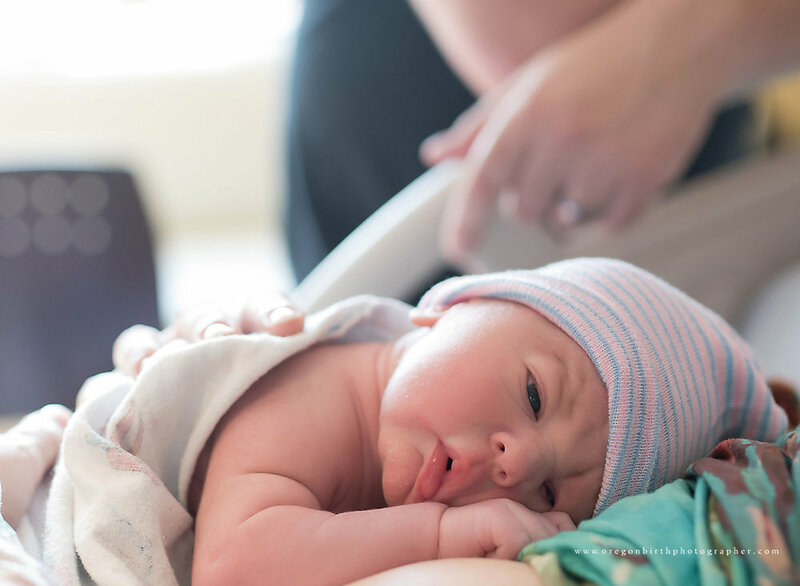 The BEST PART of this birth from this birth photographer's eyes? Um...the LIGHT. (Come on, you knew I was going to say something "photographer-y!") Seriously, only a photographer's baby would make his entrance under such beautiful, warm light! I was loving it, and little Liam seemed to bask in the glow of the sunshine as well. His birth room gave me such beautiful images. I'm so honored to share them with you. Please share and enjoy, and don't forget to watch the fusion video clip at the end with more footage from Liam's birth-day, including Sean and Liam's first slow dance. 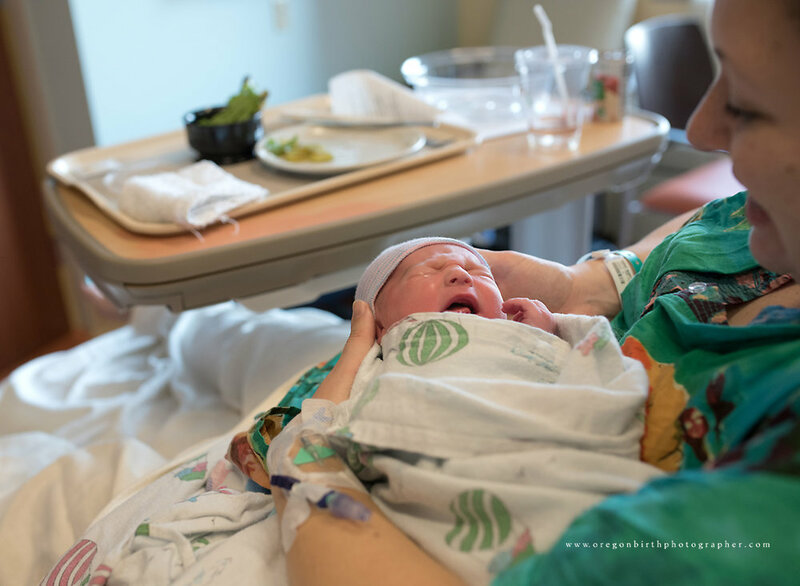 Birth Photography | Portland, OR | the birth of william by coco photography from Coco Photography on Vimeo.